On Tuesday, 18 April, Mr. Kumpolkunjana came to the PATA Engagement Hub and spoke to our team about how easy it is to make something useful out of paper waste, then showed us how to make notebooks using our office’s used paper! Our team had a lot of fun crafting notebooks out of paper waste. His foundation arranges workshops with various groups, and donates the handcrafted notebooks that result from these workshops to schools throughout Thailand. Learn more about Paper Ranger here, and to book your own workshop, contact paperranger@live.com. Recycling is a crucial concept in sustainable management, especially in an office environment. For more information check our green tips of this week here. Corporations with a global view are taking seriously their role as leaders in climate action. With COP21 and COP22 serving as launch pads in the fight against climate change, corporations with a global view are taking seriously their role as leaders in climate action. Despite uncertainty here in the United States, businesses are forging ahead with plans to achieve deep emission reductions and to implement strategies to mitigate climate change risks — not only to protect the environment, but to strengthen business resiliency and the global economy. Growing up first in Zimbabwe, then in South Africa, Neill Duffy became aware early on of the challenges of economically and socially marginalized communities. Now CEO and founder of Purpose + Sport, a sports-marketing agency based in San Francisco, Duffy is recognized as a thought leader in supporting organizations to expand beyond philanthropy and corporate social responsibility to embrace sustainability and purpose as core strategic business drivers. In September, Purpose + Sport oversaw the implementation of the purpose component of Super Bowl 50, “the most shared, most participated in, most giving Super Bowl ever.” – By BtheChange. Read more. Twenty years ago the post-apartheid government in South Africa adopted the principles of Responsible Tourism in their national tourism policy and the campaign for Responsible Tourism began in the UK. To mark this anniversary, and the fact that 2016 sees the 10th anniversary of the responsible tourism programme at WTM London, this year the flagship Roundtable Interview shifted from interviewing mainstream industry representatives, to discussing responsible tourism issues with some of the movement’s pioneers, providing a chance “objectively and critically to see how much progress we have made and to look forward to see how far we can go over next 20 years,” according to WTM London Senior Director, Simon Press. “Responsible tourism should be the backbone of the industry,” he added. By Travindy. Read more. Comments Off on How Can Brands Build a Culture of Responsibility? One thing holding CSR back is its persistent treatment as a program within the business enterprise, distinct from core business activity. At best, it is treated like a corporate service, such as IT, finance, legal and HR. But it is still far from being considered a fundamental part of a company’s culture and brand identity. Misha Pinkhasov. Read more. 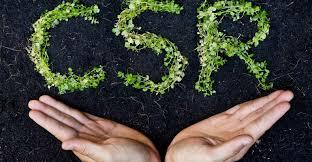 As a socially responsible business, Banyan Tree was founded with the core value of driving sustainable development. With the call to arms of embracing the environment and empowering people, the Company seeks to continue being an agent of social and economic development through responsible tourism. Banyan Tree’s triple bottom line (economy, society and environment) helps direct the Company’s sustainable development by inspiring associates, guests, and partners to take a wider consideration encompassing a long-term view when making business decisions.